Do your shopping at Laugavegur and 12 Tonar. Escape the urban bustle at Nature & Wildlife Tours and Thingvellir National Park. There's much more to do: pause for some serene contemplation at Hallgrimskirkja, browse the exhibits of Perlan, relax and rejuvenate at some of the top local wellness centers, and look for all kinds of wild species at Wildlife Areas. To see where to stay, other places to visit, more things to do, and other tourist information, you can read our Reykjavik day trip planning app . Munich, Germany to Reykjavik is an approximately 8-hour flight. You can also do a combination of train and flight; or do a combination of car and ferry. You'll gain 1 hour traveling from Munich to Reykjavik due to the time zone difference. When traveling from Munich in March, plan for little chillier days and about the same nights in Reykjavik: temperatures range from 4°C by day to -1°C at night. Finish up your sightseeing early on the 4th (Mon) so you can go by car to Geysir. Start off your visit on the 5th (Tue): admire the sheer force of Faxi (Vatnsleysufoss) Waterfall, witness a stunning natural landmark at Strokkur, then admire the sheer force of Gullfoss, and finally witness a stunning natural landmark at Haukadalur. To see ratings, maps, more things to do, and other tourist information, refer to the Geysir attractions planning site . You can drive from Reykjavik to Geysir in 1.5 hours. Alternatively, you can take a bus. In March, daytime highs in Geysir are 5°C, while nighttime lows are 0°C. Cap off your sightseeing on the 5th (Tue) early enough to travel to Hof. Kick off your visit on the 6th (Wed): take in the architecture and atmosphere at Hofskirkja Church, appreciate the history behind Skeioara Bridge Monument, admire the sheer force of Svartifoss Waterfall, then kick back and relax at Diamond Beach, and finally explore the activities along Jokulsarlon Lagoon. For ratings, photos, maps, and tourist information, refer to the Hof attractions site . Getting from Geysir to Hof by car takes about 4 hours. In March, plan for daily highs up to 5°C, and evening lows to 0°C. Wrap up your sightseeing on the 6th (Wed) early enough to travel to Vik. Start off your visit on the 7th (Thu): stroll through Reynisfjara Beach, then contemplate in the serene atmosphere at Vik Church, then enjoy the sand and surf at Black Sand Beach, and finally pause for some photo ops at Voyages Friendship Statue. For ratings, maps, where to stay, and tourist information, use the Vik trip itinerary app . You can drive from Hof to Vik in 2 hours. March in Vik sees daily highs of 4°C and lows of 1°C at night. On the 8th (Fri), you'll have the morning to explore before heading back home. 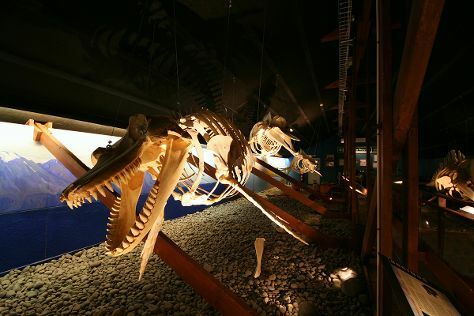 On the 9th (Sat), examine the collection at The Exploration Museum, then look for all kinds of wild species at Wildlife Areas, and then learn more about the world around you at The Husavik Whale Museum. To see ratings, photos, maps, and tourist information, go to the Reykjahlid road trip tool . Traveling by car from Vik to Reykjahlid takes 8.5 hours. Alternatively, you can take a bus. Traveling from Vik in March, plan for slightly colder nights in Reykjahlid, with lows around -3°C. On the 10th (Sun), wrap the sightseeing up by early afternoon so you can travel back home.